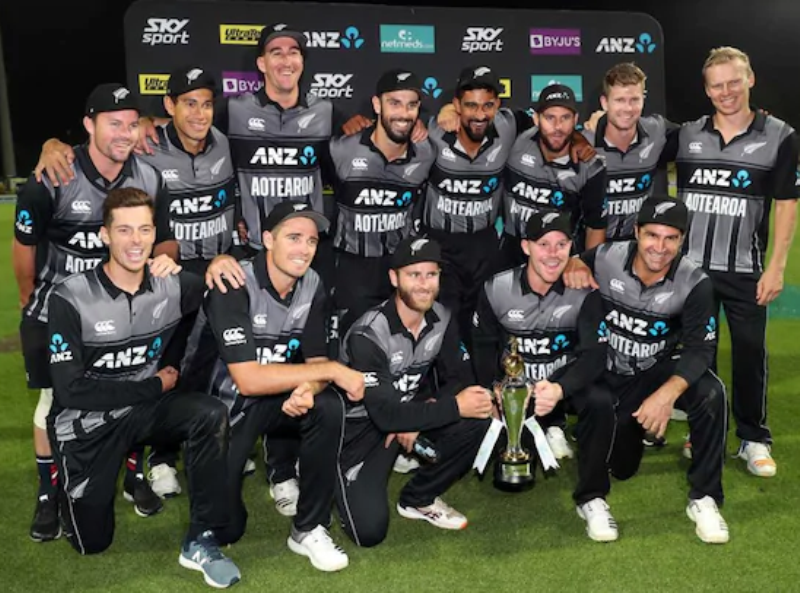 Hamilton: New Zealand registered a thrilling four-run win against India in the third and final Twenty20 International (T20I) to claim the series 2-1 here on Sunday. Opener Colin Munro scored a 40-ball 72 for which he was adjudged as the player of the match. India won the toss and invited the Kiwis to bat first. 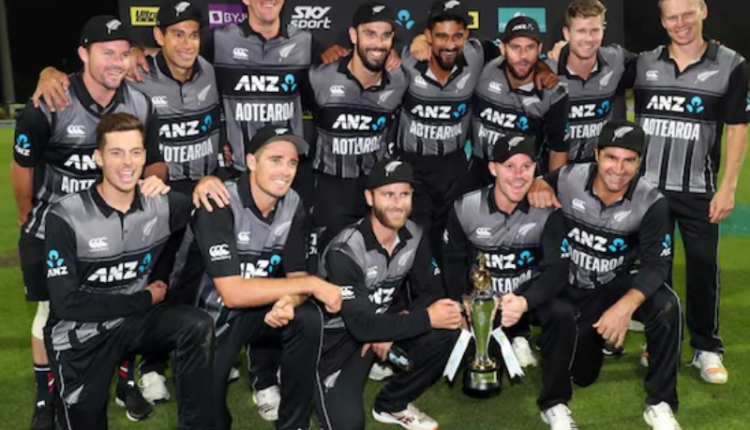 With Colin Munro’s 72 runs in just 40-balls, Tim Seifert’s 43 runs off 25 ball and Colin de Grandhomme’s 30 runs, the host set a target of 213-run for India. Chasing a mammoth 213-run target, the visitors could only manage 208/6 in their 20 overs. With 43 runs in 28 balls Vijay Shankar was the highest scorer for India. 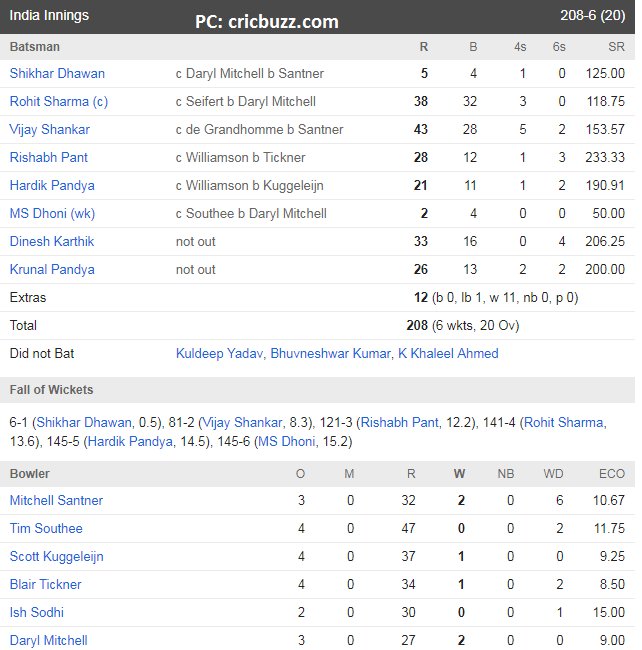 Needing 16 runs of the last over, Dinesh Karthik (33 off 16) made a valiant effort but India fell short of short by a whisker.